Last year I experienced something that my stomach will never forget and does a little dance every time i think about it, the Durham Food Truck Rodeo. A few weeks ago on a windy but sunny day, it was time for another rodeo and there was no way i was missing it. 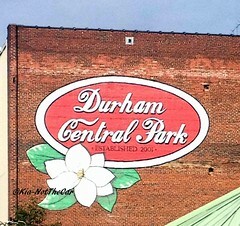 I dropped C1 off at Pokemon League early and drove over to Durham Central Park to be surrounded by the many food trucks which I’ve never seen or tasted before. What's a food truck rodeo? Its when many food trucks - in this case 38 park in a designated area so you can partake of the various offerings at your leisure. 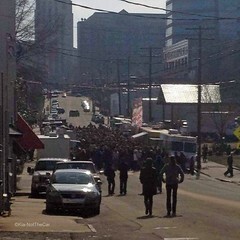 The Triangle is its own weird little place when it comes to food trucks. Durham and Chapel Hill are far more food truck friendly than Raleigh. The benefit of me living close to Durham means if I really want to eat from a certain truck they are frequently not far away. Usually when a truck is allowed to park in Raleigh its downtown where I almost never go or I get lucky and its parked in the lot of a business. The crowds are always large for these events. I went in with the plan to get some of my favorites from American Meltdown and Chirba Chirba (who happened to be parked next to each other) but the lines for both were close to 30 minute waits. Since I can get food from either of these trucks at other times I decided to change it up and try food from only trucks I’ve never eaten off of before. After doing a full walk-around to see which trucks where there and check the line speed, I decided to try Parlez-Vous Crepe. 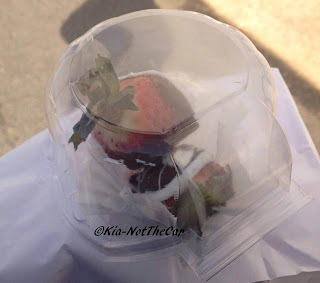 I got the Nutella and Strawberries crepe which. 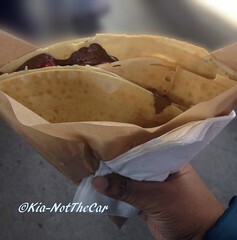 The line was longish but the crepes were coming out of the truck pretty fast. They sell both sweet and savory crepes. What I wasn't prepared for was how large it was. This was a very tasty crepe. After eating about halfway thru it I headed over to find another truck to order from. My next stop was Sarge's Chef on Wheels. I don't think I’d ever seen this truck before but the line was non-existent. 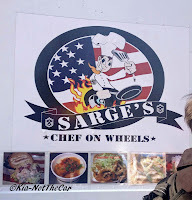 Sarge's serves a menu that mixes Southern, Asian and Caribbean cooking. 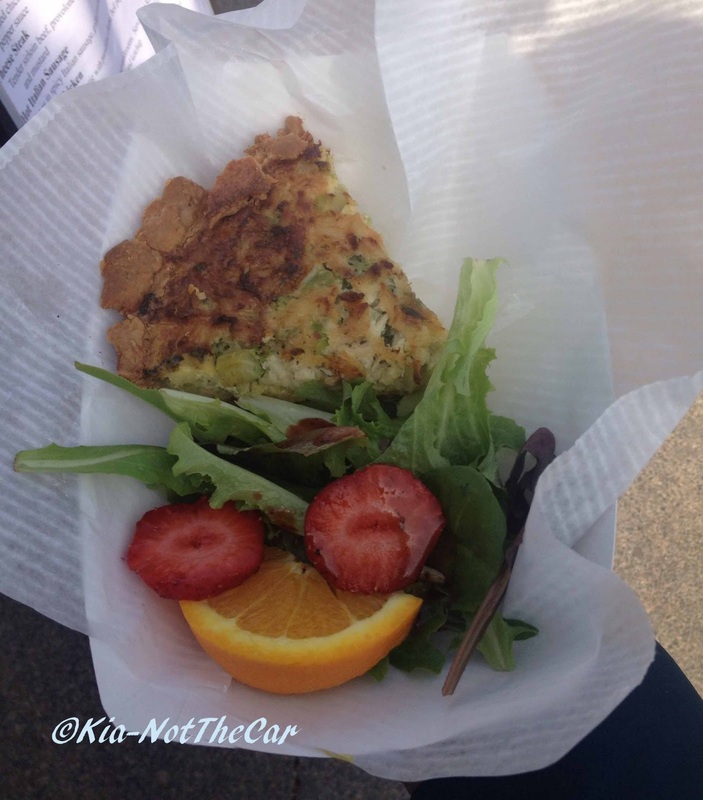 I decided on the Crab Quiche. One bite and I was over the moon. This is easily the best thing I’ve eaten so far in 2013. I have yet to taste anything as good as this. While eating my quiche I wandered over to Baguettaboutit. I've seen this truck many times but never managed to get a sandwich. I tried The Imposter a Sun Dried Tomato & Basil Tofurky Italian Sausage w/ Cracked Pepper and Parmesan Sauce. It was my least favorite item of the day. It just wasn't to my liking. The dog was spicy and the parm sauce was tasty but the combo just didn't work for me. 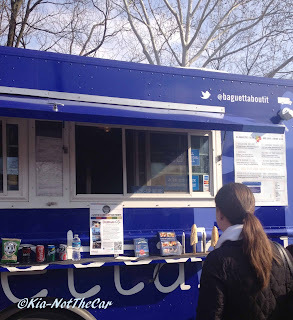 The truck is pretty popular so I would still suggest you try some of their other options. I checked my clock and realized it was time to go pick up C1 so I only had enough time for 1 or 2 more trucks. I headed over to Blue Ribbon Delights. They sell custom cakes, pastries and other desserts. I grabbed some red velvet cupcakes for C1 and got myself the chocolate dipped strawberries for later. Not at the rodeo but parked in its usually spot within walking distance I headed over to the Kokyu BBQ truck. They stay parked most days it seems in front of MotorCo Music Hall. 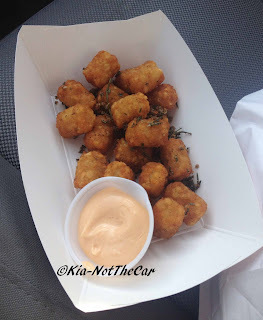 I had to get me the Duckfat tater tots. I don't even like tater tots but these are so amazing. Again with the great portion sizes. There will be several more Rodeos throughout the year so if you are in the Triangle mark your calendars.